Although the spot light was stolen by Samsung with their Galaxy A8s launch, Huawei’s first ever cut out hole camera phone is still going to be some kind of a game changer. The smartphone has now been confirmed to come on December 17th, which is just less than a week from today. 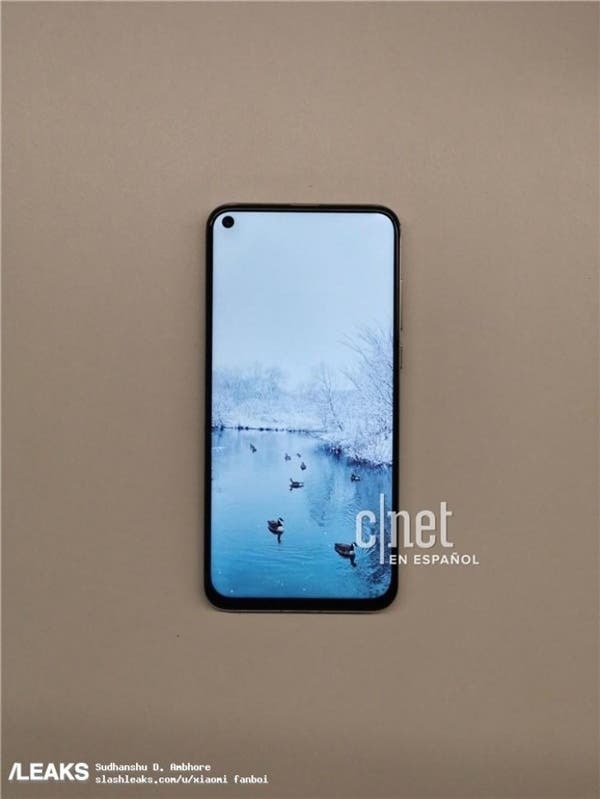 Following the leaked photos and specs of the Huawei phone, Huawei also suggested that the “hole full screen” design will become mainstream next year, putting the notch trend to sleep. Additionally, Huawei posted a full render of the upcoming Nova 4, which gives us a glimpse at the device in all its beauty (image above). The image does of course confirm the camera hole at the upper left corner. Due to its uncommon new position, the signal indicator has been shifted to the right of the hole, meanwhile the battery dropped down a tiny bit to be at the same height with other icons in the status bar. The Huawei Nova 4 then features a three-side ultra-narrow bezel design, but the chin is still there. Meanwhile the fingerprint scanner is most likely placed on the back as this is a mid-ranger and it’ll hardly pack an under display fingerprint scanner. 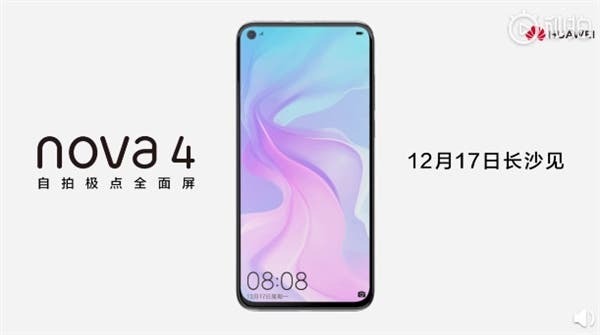 Finally, according to the data previously coming from TENAA the Huawei Nova 4 will sport a 6.41-inch display, a 3900mAh battery and dual-SIM dual-standby functionality. The detailed configuration of the Huawei Nova 4 is currently unknown, but we can already assume its pricing: around 2,000 yuan ($290).